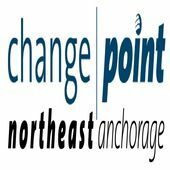 These are the weekly messages from ChangePoint Northeast Anchorage. We are an exciting new church that meets weekly at Bartlett High School in Anchorage, Alaska! ChangePoint is a church about life-change. God wants to transform our lives daily, giving us joy and freedom as we follow his son, Jesus Christ. Our mission is to train Christ-followers who are Enjoying God Together, Being Transformed Together, and Demonstrating the Heart of Jesus Christ Together. We believe that church is about people not programs. It is about our relationship with Christ and how we invest our lives in the Kingdom, our families, and the communities in which we live.